And we're back with another Owl Crate Unboxing. Are you surprised? I'm sure you aren't. October is here, and so that means cold weather and book cuddles. It also means lots of tea will be consumed by book lovers all around the globe (or coffee. Whatever floats your boat). Luckily for us, Owl Crate has got our backs and created the perfect box for Autumn/Fall for us. The October 2018 Owl Crate was themed Lost in the Bookstore. 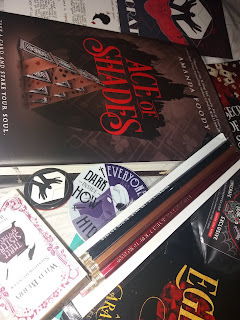 This box was slightly different from other boxes because most of the items weren't inspired by a book fandom. Once again, before I start to talk about the exclusive items in this box I want to talk about the illustration on the spoiler card and on the pin. The creative is just so simply drawn but it is so beautiful. What I love the most in this photo is the magic teapot. Every bookworm deserves a magic teapot to pour our tea for us when we are reading. Let's start with the items in the box. My problem is if I see the words Harry Potter then I buy the box. Welcome back to ANOTHER Owl Crate unboxing. 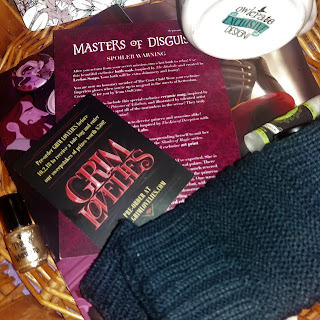 I really hope you're not getting bored of these unboxing blogs because I have at least one more coming up The theme for the September box was Masters of Disguise (Oooo). As soon as I read that the box will include items from Harry Potter and Six of Crows I knew I had to get it. Before I comment on the actual items in this box, I want to take a moment to appreciate the illustration on the Spoiler card, and pin. I think it is so beautiful in the simplest form. The setting of the masked ball is so appropriate to the theme. I mean, how many times have we seen films where a simple mask suddenly makes everyone not realise who the person is? Too many times. I am going to be very honest with you - I was not totally impressed with this box. In May of 2018, Owl Crate released a crate themed Fight Like A girl. Items in this crate were included in order to show that you have to be careful when you say "You fight like a girl" because you may end up battling Inej Ghafa and trust me when I say that that isn't going to end well. 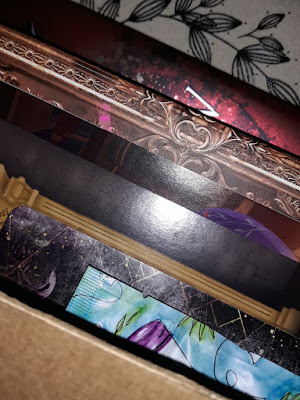 Speaking of Inej, a print of her is included in this box. The illustration of her is near perfect (I never imagined Inej with a crooked nose). However, from the dark clouds behind her, that represent Ketterdam to the crouched position that symbolises that she is Kaz's Spider that is an excellent spy, all the elements in this print are perfect. 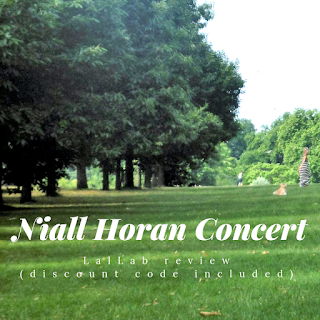 It has been such a long time since I had posted on this blog. I had announced my break from my blog back in December/January, and I honestly really needed the break from it all. A lot of people come into blogging thinking that it is an easy job; however, anyone who takes it seriously knows all the hard work that goes into every post. I am not going to sit here and say that I take blogging as seriously as other bloggers, but the amount of effort that I do put into it just becomes too much sometimes.